This historic, hand-hewn log structure, located near the Jasper Riverwalk in the “Old Jasper” district, serves as a picturesque backdrop for many events throughout the year. Originally built in the 1800s and located in nearby Ferdinand, the chestnut log barn is a Cantilever Overhang typical of many German buildings during the time. 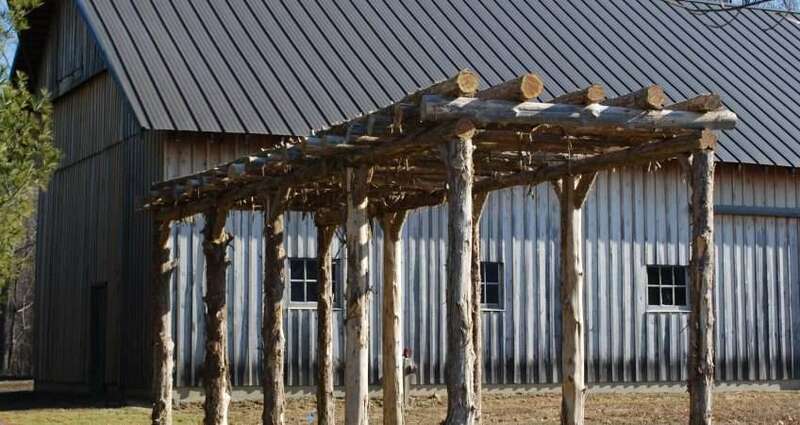 It features a unique construction of half-dovetail notches, a 50-foot continuous beam, three log cribs with 26-foot hand-hewn feeding troughs made from a single white oak tree and a stone foundation, which was paramount in its preservation.